(Calgary, AB) December 7, 2016 – The Alberta Equestrian Federation (AEF) is sending 1,500 bales of hay to Fort McMurray, AB, on December 16, 2016 to help support Fort McMurray equine owners through the winter. The hay will help alleviate some of the feed costs over the winter months, but also replace hay that was lost in the fires. 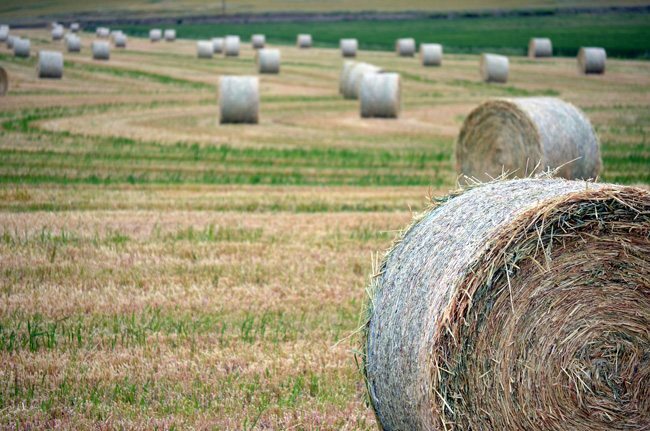 The price of hay is slightly higher than in previous years and those in Fort McMurray typically pay an additional cost per hay bale for landed transportation. The equine community from Alberta, across Canada, the USA and as far as the UK banded together from the moment the wild fires broke out to help the ‘horses.’ Karina Webb, President of the Tower Road Equine Association, recently praised the equine community. “From myself as President of the Tower Road Equine Association, we are so grateful for the Equine Communities’ support. It does make a real difference. Thanks to the AEF for all your work, it is truly appreciated. The support really touches all of our hearts and is absolutely inspiring,” says Webb. Horse and equine owners share a special bond; it’s the passion for the animal, and the relationship they have with them. Whether they are for pleasure, personal, farm or ranch work, horses have a way of bringing those who own them closer together. This is what happened during the fires. Oakes will be travelling to Fort McMurray to be on site when the hay arrives and throughout two days of distribution. He is looking forward to meeting many equine owners that the AEF kept in touch with since day one of the evacuation and who the AEF continues to hear from today. Fort McMurray equine owners who registered with the AEF during the disaster will be able to pick up hay bales on Saturday, December 17th and Sunday, December 18th. Storage space and volunteers have been provided free of charge at the Clearwater Horse Club (a location that lost almost everything in the fires), Hertz Equipment Rental has donated a forklift, and AEF President, Les Oakes will also be on site to assist. It is humbling to see so many individuals and businesses continue to support and assist those in need several months after the horrible wild fires.